John F. Kennedy (JFK), President of America (1960-63), proclaimed in 1963 that “moral courage is a more rare commodity than bravery in battle or great intelligence.” He was referring to the civil rights movement in America, when African-Americans, particularly in the south (now known as the ‘Bible-belt’), were discriminated against and did not have the right to vote. The Help magnificently brings to light the inequality that African-Americans suffered in Mississippi in the early-1960s, and that there were some people with the moral courage to put an end to it. Eugenie ‘Skeeter’ Phelan (Emma Stone) out for a meal with friends, looking fabulous. 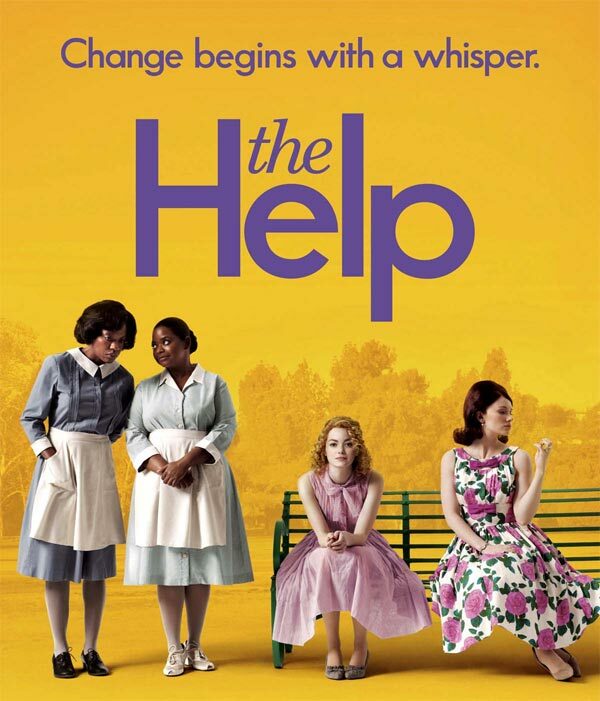 The Help is based on the book with the same title, written by Kathryn Stockett. It is not a true story. The film revolves round the aspiring young author, Eugenie ‘Skeeter’ Phelan (Emma Stone – Ghosts of Girlfriends Past, Friends With Benefits, Birdman). At a time when the civil rights movement is picking speed in America, Skeeter has become uneasy by the way her friends treat their African-American maids, and so decides to write a book about it. She decides to write her book from the angle of the help in order to highlight Caucasian maltreatment to them in the home. Skeeter approaches Abileen (Viola Davis – Law & Order: Special Victims Unit, Eat, Pray, Love, Extremely Loud & Incredibly Close), the maid of her friend Hilly (Bryce Dallas Howard – The Village, Spiderman 3, 50/50), for her opinion and experiences. Abileen is a middle-aged woman who has spent her entire life raising Caucasian children, almost from birth, only to see them turn into their parents. Despite being initially reluctant to speak out, due to the fear of violent reprisals, Abileen lets Skeeter interview her. Soon, Minny (Octavia Spencer – The Soloist, Herpes Boy, Girls! Girls! Girls! ), another African-American maid, tells her stories too. Then, many more do the same to give Skeeter an all-round picture of what life is like for African-American maids in Caucasian homes. 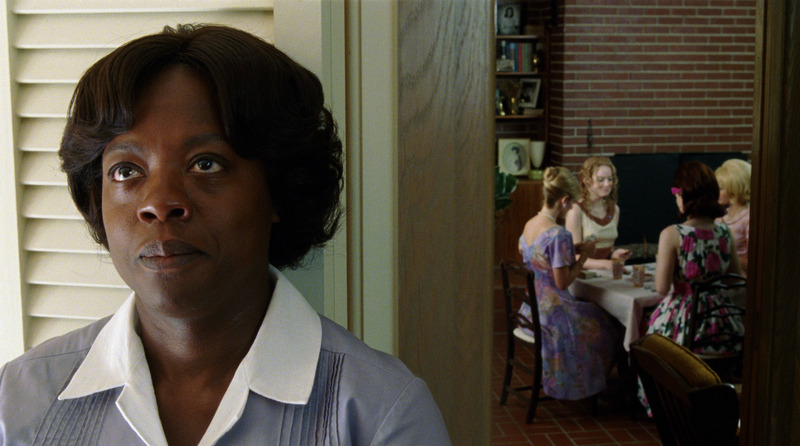 The Help may be a very slow and far-from-intense film; yet, it is powerful and emotive. 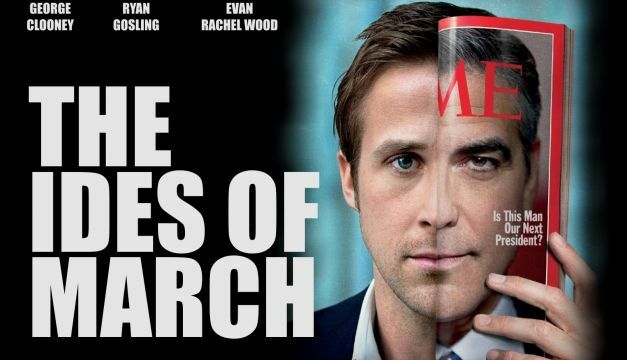 The movie may not be factual, but it is based on much truth and reflects the period accurately. In the same way that the works of Charles Dickens and Theodore Dostoyevsky are seen to be more representative of their respective eras than historical narratives, so too can The Help be seen in the same vein. 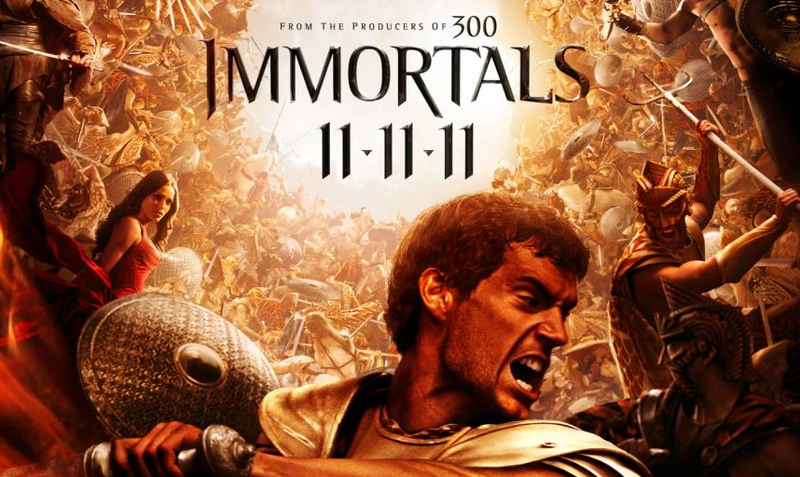 Despite a few minor historical inaccuracies, such as segregation, one could probably learn more about the innate levels of Caucasian racism towards African-Americans in the Bible-belt in the 1960s from this film, and the variety of ways it manifested itself, than from most factual history books. Abileen (Viola Davis) eavesgropping on a conversation wherein she hears a torrent of racism towards African-Americans. 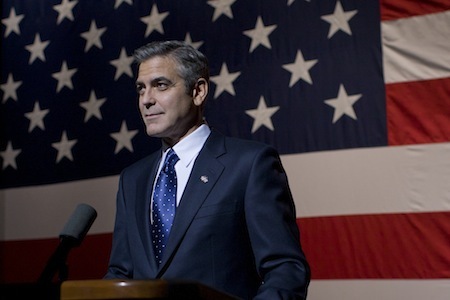 But for a film about racism, The Help is surprisingly honest. It shows all sides to be human, meaning that all the characters, whether Caucasian or African-American, have decent and defective qualities. 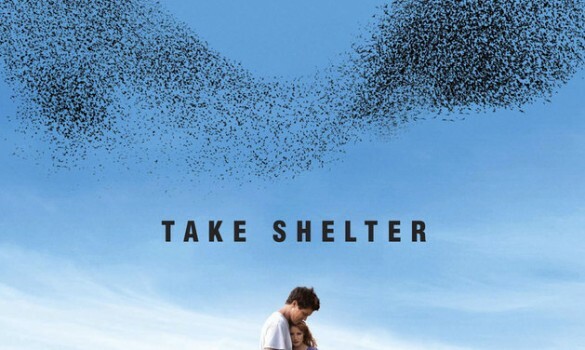 This should be applauded since it would have been easier for the director, Tate Taylor (Pretty Ugly People), to have made one side inherently ‘good’, the other side inherently ‘bad’, and one or two instances of crossovers as a cheap façade. That Taylor doesn’t do this makes The Help plausible. The realism of the film, however, would not be possible without the actors putting in exceptional performances. Indeed, the entire cast, and their accents, are flawless. The pretty Emma Stone demonstrates that she can play intelligent roles with vigour, enabling her to grow more beautiful and appealing in the process. Viola Davis performs so well, viewers can empathise with Abileen’s predicament and cry because of her awful experiences. Octavia Spencer may not make audiences weep like Davis does; nevertheless, she too plays marvellously as the feisty, loud-mouth and funny Minny. Furthermore, one can even appreciate the performances of the horrible, racist women, portrayed by Bryce Dallas Howard, Ahna O’Reilly (Herpes Boy, House Under Siege, Girls! Girls! Girls! ), Allison Janney (The West Wing, Pretty Ugly People, A Thousand Words), and the other ladies, or the silly, naive Celia, played by Jessica Chastain (Jolene, The Debt, Take Shelter), as they are all performed with brilliant consistency. A first day at work for Minny (Octavia Spencer) at the house of the over-excited Celia (Jessica Chastain). Like the quality of the acting, The Help has been put together superbly. At 146 minutes, the film might feel drawn out, but the choreography has been stitched together smoothly and the cinematography is apt for the locations of the movie. What’s more, the music has been chosen well to enhance the scenes, particularly the heart-rending ones. All-in-all, The Help might drag, but it is an excellent, touching film. The acting is remarkable and the movie epitomises well the attitudes of people, whether Caucasian or African-American, living in the deep-south of America in the early-1960s. In 1963, JFK proclaimed that the struggle for civil rights “will not be finished in the first 100 days. Nor will it be finished in the first 1,000 days, nor in the life of this administration, nor even perhaps in our lifetimes on this planet. But let us begin.” The Help, therefore, enables us to measure how far we have come in almost fifty years because of people like JFK and Skeeter who had the moral courage to start changing people’s attitudes towards African-Americans.